We are so fortunate to work with other New Jersey small businesses who have a, mission to give back. 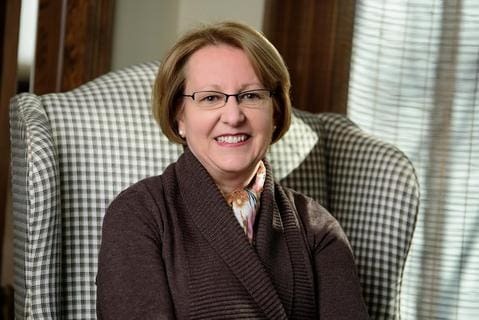 We are especially inspired by Morristown resident Connie Charney, who launched a greeting card company that spreads good cheer between layers of peanut butter and jelly sandwiches. How? By donating a sandwich to feed the hungry with the sale of each card. Today Food for Thoughts Cards are available online and in nearly 50 retail stores nationwide. Learn more about Food for Thoughts Cards and meet the founder and CEO, Connie Charney. Q: Tell us about how you got started with your company? Food for Thoughts Cards evolved out of years of sandwich-giving. I had been packing a peanut butter and jelly sandwich and giving it to a homeless person on my commute from Morristown NJ to Penn Station NY for the twelve years that I taught a course at New York University. My impact, though tangible and gratifying, was limited. I’ve also always loved sending greeting cards. On a bike trip in Vermont as I pedaled up rolling hills, I had an “aha” moment. Sending cards and giving sandwiches was the perfect blending of my passions, a natural fit. Upon returning home, I sat at my kitchen table and sketched the bread outline for our greeting cards. I envisioned messages in the colors of PB&J. But from that point I needed the help of experts - a graphic artist, a web designer, and others with skills that complemented my vision. They brought Food for Thoughts Cards to life. The concept is simple. With the purchase of each card, Food for Thoughts Cards donates (the cash equivalent of) a peanut butter and jelly sandwich to a food pantry, soup kitchen, or other organization that feeds the hungry. Q: What inspired you to start making your products? An undeniable need inspired me. According to Feeding America, 1 in 7 Americans currently faces hunger. 1 in 6 children in America is food insecure. Giving individual sandwiches when I commuted wasn’t enough. Although someone was a little less hungry because of that sandwich, I knew I could do more. The concept resonates with people. A card is nice, but in today’s world, where giving back is as easy as sealing an envelope, nice isn’t good enough. We’re building a national audience of those who believe that sending a greeting card and fighting hunger can go hand-in-hand. We’re making a local impact, too. This is perhaps the best part. 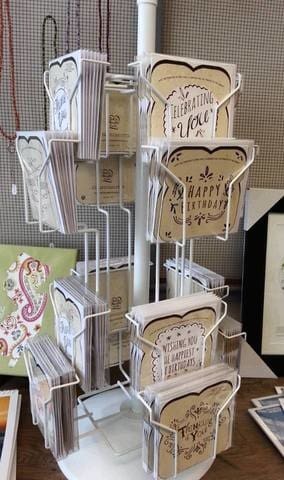 When a store buys cards, they may select a local organization to receive Food for Thoughts Cards’ donation. Just Jersey has selected the Community Soup Kitchen and Outreach Center right down the street in Morristown NJ. 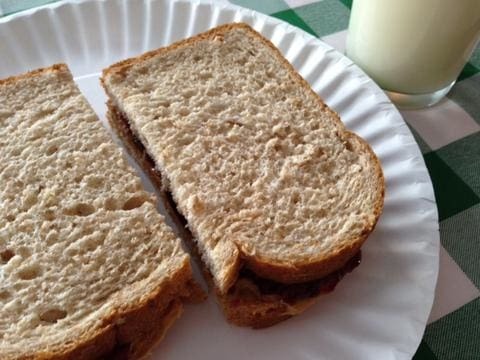 We’ve donated the cash equivalent of 950 PB&J’s for cards sold at Just Jersey. It's a privilege to be part of neighbors helping neighbors. Q: Explain your business in five words or less. One card = one sandwich. Q: What is your favorite thing about living in New Jersey? Proximity to family is probably my favorite thing about living in New Jersey. We have family days throughout the year with silly traditions including cooking contests and talent shows. Q. What's next for Food for Thoughts Cards?